Cutify your crafting activities with these irresistibly adorable owl pin cushions. They are not only nice to look at, they’re also reliably handy. With them, you’ll never misplace needles and pins again! Once finished, each owl should measure approximately 3 inches (7.5 cm) tall. This pattern is a wonderful design by the talented team over at Seriously Crazy 4 Craft. 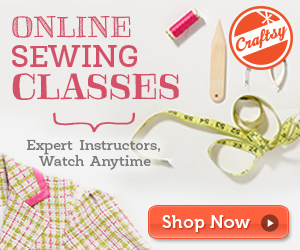 In fact, you can access the FREE downloadable pattern for these handy crafting accessories from the Craftsy website. To access the FREE downloadable pattern for this project, please click on this link: Little Owl Pin Cushion Pattern. Featured image: Seriously Crazy 4 Craft – thank you!